1. Any Cadet receiving a deficient grade in 4th Class Boxing is ineligible. The final authority on all matters concerning eligibility and grades received, will be a list published by the Associate Director for Intramural Athletics with the names of all Cadet having received a deficient grad during boxing instruction. 2. 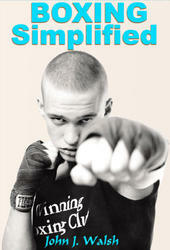 Any Cadet who has not received a grade in 4th Class Boxing is ineligible. The individual in question will not be carried on the Company roster even though he is scheduled to receive grade during the Intramural boxing season. 3. Those Cadets who, in the opinion of the Director for Intramural Athletics, are no longer novices by virtue of their experience or ability may be declared ineligible. 4. All Cadets, regardless of their Corps Squad status or previous experience, are eligible for the Brigade Open Boxing Tournament. 3. No Cadet may compete in a weight class unless he weighs more than the maximum weight class below and less than the maximum for the class in which he desires to compete. 4. Weigh in will be accomplished after 1000 hours on the scales in the West Boxing Room. All boxers must make their weight class prior to the submission of Bout Entry Card. If he has not made weight by that time, he automatically forfeits the bout. 5. The coach will submit to the CIC a "Bout Entry Card" notifying the CIC of all those team members who did not did not make weight for that particular contest. All forfeits should be marked at this time on the master score card (See Appendix B for the Format of Bout Entry Card). 1. For all record contests, equipment will be drawn from the intramural store room. All contestants will wear the issued boxing gloves, protective headgear-- no full-face headgear--, handwraps, proper shoes (no running shoes) and protective cup. Prior to the issuance of equipment the CIC will determine the color of trunks to be worn by the competing teams. 2. Standard handwraps will be worn by all competitors. They will be secured by adhesive tape obtained from the DPE Training Room. 3. Prior to the bout Vaseline (at ringside) will be applied to the face. 1. During team competition a bout will consist of three 75 second rounds each with a one minute rest period between rounds. 2. A ten second whistle will be blown prior to the beginning of every round. 3. In the Brigade Open Tournament there shall be three rounds of one and one half minutes duration during the preliminary bouts. In the semi-final and final bouts the three rounds will be two minutes in duration. 1. Each competitor is allowed his coach and one second in his corner to assist him between rounds. 2. The coach and second will remain outside the ring completely off the mate during the conduct of the round. All stools, towels, buckets and seconds will be out of the ring at the sound of the ten second whistle. 3. At no time will a towel be thrown into the ring to signify a boxer's inability to continue the bout. The coach or second will visually or orally contact the referee and signal that the bout should be discontinued. 1. Judges: There WILL BE three judges to render a decision at the termination of a bout. Under no circumstance will there be less than three officials judging a record contest. The referee will not act as a judge. b. When the bout has been completed each judge will circle the name of the winner and give the Boxing Scorecard to the referee. a. The referee will perform all the duties and functions prescribed in RULE #10.
b. At no time will the referee act as a judge for a record contest. c. After receiving the Scorecards from the three officials the referee will call both boxers to the center of the ring and announce the winner. At this time he will give the scorecards to the CIC or his representative. a. The timekeeper will be seated on a platform between the boxing rings. He will have two stop watches, a bell, and a whistle. b. Prior to the start of every round he will blow a whistle to indicate ten seconds before the bell will ring. At this time the seconds will remove all equipment from the ring. c. He will indicate the beginning and the end of each round by striking the bell. If the crowd is extremely noisy the timekeeper will ring the bell several times to insure that the boxers return to their corners. d. The only time the watches will be stopped is at the direction of the referee. The referee will also indicate to the timekeeper when the watches should be started. 1. "20 Point Must System"
a. Twenty points WILL be awarded to the winner of the round or to each boxer if the round is even. c. Judges will record legal blows in accordance with RULE #8. Additional points SHOULD NOT be awarded to a boxer who has knocked down his opponent. d. If during the bout there are major or minor rule infractions, judges shall deduct points from the point total awarded to the contestants. Penalty points will be assessed in such a manner that the winner of the round will always a total of 20 points. The referee will make the decision as to the severity of the infraction and will assess either one or two points for a violations. If the judge observes a foul that goes unnoticed by the referee, he may impose a suitable penalty against the offender. e. After the three rounds have been completed, the judges will total each boxer's score. The boxer receiving the greatest number of points is the winner and his name will be circled by the judge. f. If in the event point totals are even at the termination of the bout, judges will indicate the winner by circling the name of the boxer who won the bout on the basis of the following points. (1) Who was the more effective aggressor? (2) If still equal, who had the best defense? (3) If still equal, who boxed the cleanest and exhibited outstanding sportsmanship. g. A WINNER MUST BE NAMED. 2. The following examples will illustrate the application of methods of scoring, deduction of points for fouls and the declaration of a winner utilizing the 20 Point Must System. Round One Red Corner hits Blue with three legal blows. Blue responds with two legal blows. Red returns four more legal blows. Blue continues with two legal blows. End of Round: Red corner is head by three legal blows and therefore the round score is Red - 20 , Blue - 19. Round Three Red Corner is tired and backpedals. Red scores six legal blows with his jabs while backpedaling. Blue Corner rushes Red and tries for the "bombs' and connects with three. End of Round: the score is Red -20, Blue-19. Remember, being aggressive per se, or retreating is in-material; the criteria for scoring is "legal blows." a. Each blow to have scoring value must, without being partially blocked, land directly with the knuckles part of the closed glove of either hand on any part of the front or sides of the head or body above the belt. Swings landing as above described are scoring blows. b. The value of hits scored in a rally of infighting shall be assessed at the end of such a rally and shall be credited to the boxer who has had the better of the exchanges according to the decree of his superiority. 4. Which merely connect, without the weight of the body or shoulder are not scoring blows and do not count. a. Attack-successful leads or blows which are struck first not counter-punches. By direct clean blows is meant sharp blows, having the weight of the body behind them (not one that merely connects or a light tap). c. Counter punch - a defensive blow. A lead which connects fairly with the target should not be nullified by a counter-punch, which is a defensive blow. d. Defense - Blocking, parrying, slipping, ducking, side stepping, swaying, bending, or turning the body to avoid a blow. These maneuvers may be regarded as "getting away" or may be termed as "evasive movements" which are made to avoid the other boxer's attack. a. The boxer who does not obey the instruction of the referee, boxes in an unsportsmanlike manner, or commits fouls can, at the discretion of the referee, be cautioned, warned or disqualified without warning. Only TWO warnings may be given to a competitor in one contest. The third offense is an automatic disqualification. b. If the referee desires to caution a boxer during the conduct of a bout, he will, at a safe opportunity, stop the fight and explain the violation that is being committed. c. If the referee intends to warn a boxer, he shall stop the contest, and will demonstrate the infringement. He will then print assessment for the foul. After the round has been completed he will insure that all judges have assessed the correct amount of points against the boxer who committed the foul. d. If the referee has any reason to believe that a foul has been committed which he himself has not seen, the may consult the judges. The judges may also assess fouls not seen by the referee. 1. Hitting or holding below the belt, tripping, kicking and butting with foot or knee. 2. Hits or blows with head, shoulder, forearm, elbow, throttling of the opponent, pressing with arm or elbow in opponent's face, pressing the head of the opponent back over the ropes. 3. Hitting with open gloves, the inside of the glove, wrist or side of the hand. 4. Hits landing on the back of the opponent, and especially any blow on the back of the neck or head and kidney punch. 5. Attack while holding the ropes or making any unfair use of the ropes. 6. Lying on, wrestling and throwing in the clinch. 7. An attack on an opponent who is down or who is in the act of rising. 9. Holding, or locking, of the opponent's arm or head, or punching an arm underneath the arm of the opponent. 10. 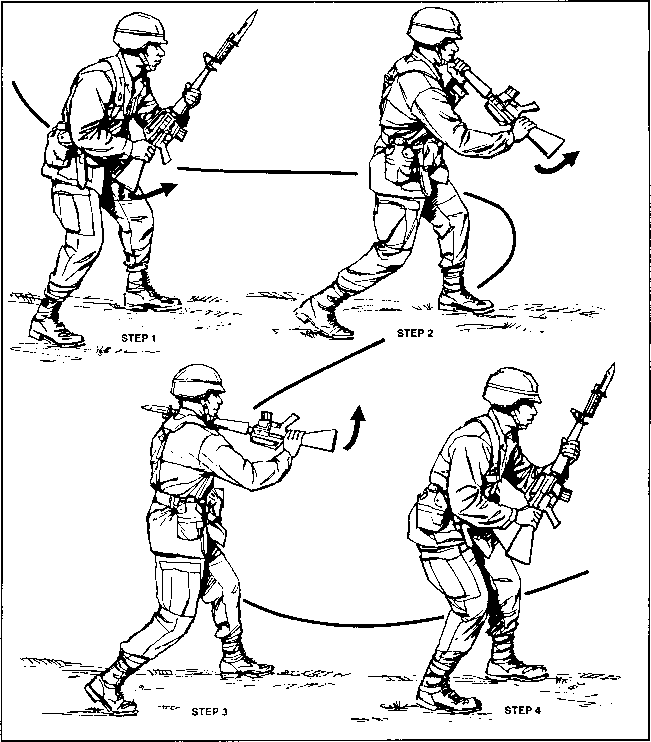 Holding and hitting or pulling and hitting. 11. Ducking below the belt of the opponent in a manner dangerous to his opponent. 12. Completely passive defense by means of double cover and intentionally failing to avoid a blow. 13. Useless, aggressive, or offensive utterances during the round. 14. Not stepping back when ordered to break. 15. Attempting to strike an opponent immediately after the referee has ordered "Break" and before taking a step back. 16. If a boxer has received a low blow, (punch below the belt line) the referee may allow a rest period not to exceed five minutes to let the boxer recuperate. If after the five minute rest period the referee makes the decision that the bout can be continued both boxers must resume boxing. If the offended boxer refuses to box, his opponent will be named winner by retirement. If the referee decides that the offended boxer is incapable of continuing, the boxer who committed the infraction will be disqualified and the offended boxer will be declared the winner. 1. The Referee is the only person who during the round may be in the ring apart from the contestants. He shall watch that all rules be obeyed during the boxing, and warn any competitor who infringes such rules, or disqualify him, in accordance with the seriousness of the infringement. The Referee shall use three words of command, namely: When stopping the boxing, "Stop"; when telling the boxers to continue, "Box"; when breaking a clinch, "Break". At the command "Break," both competitors must step back before continuing boxing. 2. The referee shall inspect the handwraps and gloves to make sure that no foreign substance has been applied to either gloves or bodies of the boxers to the detriments of an opponents. 3. The Referee shall have the power to caution of disqualify a competitor for any infringement of the rules, and stop a bout if in his opinion a man is outclassed or unfit to continue, and that man shall be deemed to have lost the bout; to stop a bout or contest if he considers the competitors are not in earnest; in this case he may disqualify one or both competitors. 4. A boxer is considered "down" if he touches the floor with any part of his body other than his feet, or if he hangs unconsciously on the ropes, or if he is knocked through the ropes or, if following a hard punch, he has not fallen and is not lying on the ropes, but is in a semi-conscious state and cannot, in the opinion of the referee, continue the bout. In the event of a competitor being down, his opponent shall retire to the furthest corner and shall not recommence boxing until told to do so by the Referee. There shall me a minimum count of eight before the contest may be resumed. 5. The compulsory eight count WILL NOT apply if a slip occurs. 6. The bout will automatically be stopped in the event that a boxer has three "eight-counts" in the same round. 7. If a boxer who been knocked down gets up before the "Ten," but falls again without having received a fresh blow, the referee continues the counting of the seconds from where he stopped. 8. If both boxers go down at the same time, counting shall be continued as long as one of then is still down. If both boxers remain down until the "Ten", the bout will be stopped and the decision given in accordance with the points awarded prior to the knockdown. 9. The Referee shall not allow a competitor to continue further if he remains down 10 seconds. The count of the Referee shall be as follows: One and two and three and four and five and six and seven and eight and nine and ten, with or without any hand gesture. 10. In the event a competitor is knocked out or falls from the ring, he shall be allowed ten seconds to return. 11. Referee should officiate all boxing contests in a similar manner wherever possible, refraining from using any local language other than the commands "stop", "break", "box".